These sports socks are fit for a number of sports as they feature ClimaTec, a high technical fibre which offers a thermal feel to help keep your feet warm. Anatomically formed for your left and right foot, the mesh-knitted backside provides the perfect fitting and comfort whilst the reinforced heel delivers added protection. 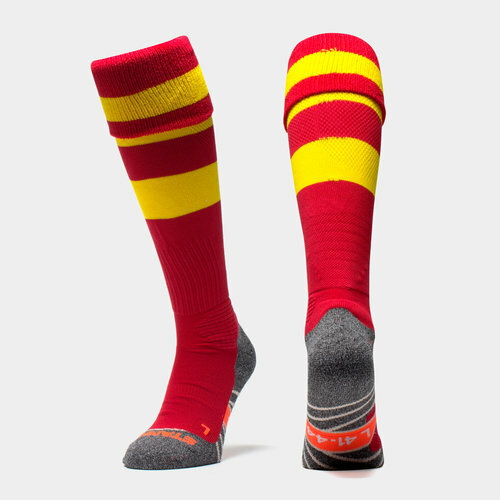 A colourful red and yellow hooped design will ensure that these Stanno Original Hooped Match Socks certainly stand out on the field.